Minister of state for Petroluem Dr. Ibe Kachikwu recounted his achievements in the 11 months he held sway as Group Managing Director, GMD, of Nigerian National Petroleum Corporation, NNPC, when he formally assumed the position of Chairman of the Board of NNPC, and handed over the office of GMD, to Dr. Maikanti Baru. The Minister said on assumption of office as NNPC’s GMD in 2015, the President had asked him to re-position the operational direction of the corporation by tackling problems such as poor profitability index; loss of business transparency and focus and its poor perception. In tackling the challenges, the Minister said in the 11 months he was NNPC GMD, he was able to cut operational losses; deregulate the country’s downstream petroleum sector; initiate a creative means of meeting the corporation’s Joint Venture (JV) contributions; ensuring that the Corporation meets its statutory payments to the federation account among others. “11 months ago, when the president asked me to take over the mantle of leadership of the NNPC, there was indeed an urgency of now, morale was low, things were haywire, there were lots of issues of transparency on the table. The profit index was very poor and the belief of Nigerians in the functionality and reliability of the NNPC was quite frankly at a questionable level. “And the president felt the best way to start my career in the public service under him was first to go to NNPC as outsider and try and bring in certain new structures to help the place change its direction and focus. “But he was persistent on that and looking back at what we have accomplished, I well understand now why he is the very wise president of the nation and I thank him very much for the opportunity that he has given me. “Even when he appointed me minister of state sometime in September, despite all the pressures that he had to quite frankly decouple both positions, understandably, he remained steadfast in feeling that that process should run a course to a point where he is comfortable to decouple it. I think we have gotten to that point and I thank him for that opportunity. “In the 11 months, let us just rethink some of the things we have achieved. First, we managed after very great difficulties to restructure the NNPC. It is a very massive restructuring that has been able to set out various parameters of the business as profit focused entities of their own. That was a major massive work. “We have been able to cut operational cost by 30 per cent and save a massive amount of money for the group. “We have downstream that is for the first time focused on a very strong P&L and I note with very strong satisfaction that if you compare the April results of downstream group with May results, you will see a massive turnaround from about N19 billion in loss to some level of profits. “We succeeded in removing subsidy and saving over N1.4 trillion on yearly basis for this country. We have reduced upstream contracting period from average of two and half years to between six and seven months. He added that by 2018, 60 per cent of refined products importation will stop and by 2019 Nigeria must become a net exporter of refined petroleum products. 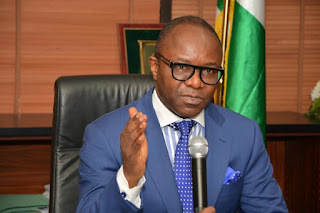 Kachikwu said the evidence of the turnaround that has been recorded in NNPC in the 11 months he was at the helm of affairs was the fact that the Corporation recorded a profit of N270 million in May, 2016 for the first time in many years. He said when he took over, NNPC’s losses were in excess of N150 billion. Kachikwu also said attacks on oil installations in the Niger Delta; the country’s daily crude oil production capacity was still at 1.9 million barrels.